State 48 took home first-place honors. Team members were (left to right) Sean Sheppard of Seefried Properties, Joe Charles of JLL, and Serena Wedlich of CBRE. 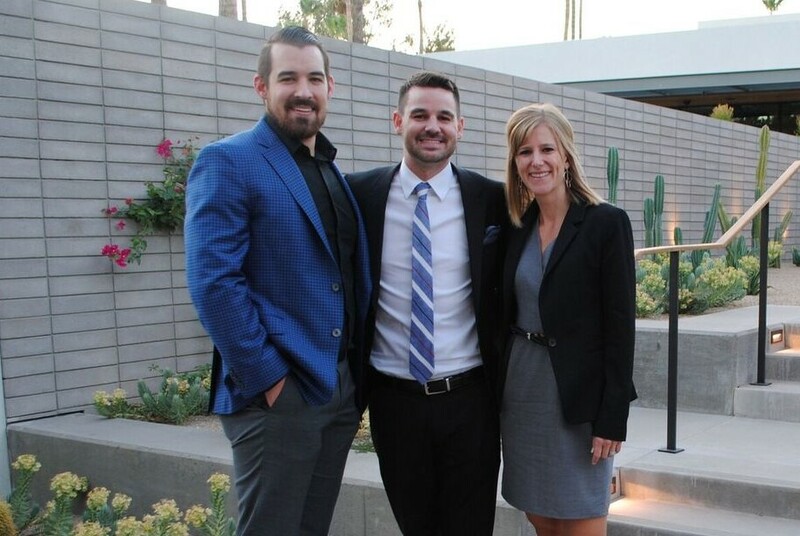 PHOENIX (July 10, 2017) – It was an evening of celebration recently as the NAIOP Arizona Developing Leaders Young Professionals Group (YPG) Mentor Program hosted graduation for the 2016-2017 class at Andaz Scottsdale Resort & Spa. 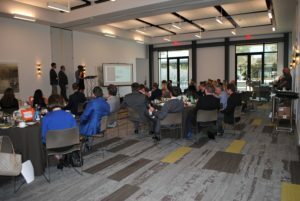 Mentors and protégés gathered in a private dining room for a reception, presentations, and a dinner. The 15 protégés, grouped into four teams, pitched development proposals on Phoenix Trotting Park, the long-abandoned horse racing track along I-10 and the Loop 303 in Goodyear (1068 N. Cotton Lane). All the projects focused on an industrial development that included multiple buildings ranging from 100,000 SF to 1 MSF. The teams presented market analysis statistics, architectural site plans, market studies and marketing plans, construction budgets, and exit strategies to the judges. State 48 took home first-place honors. 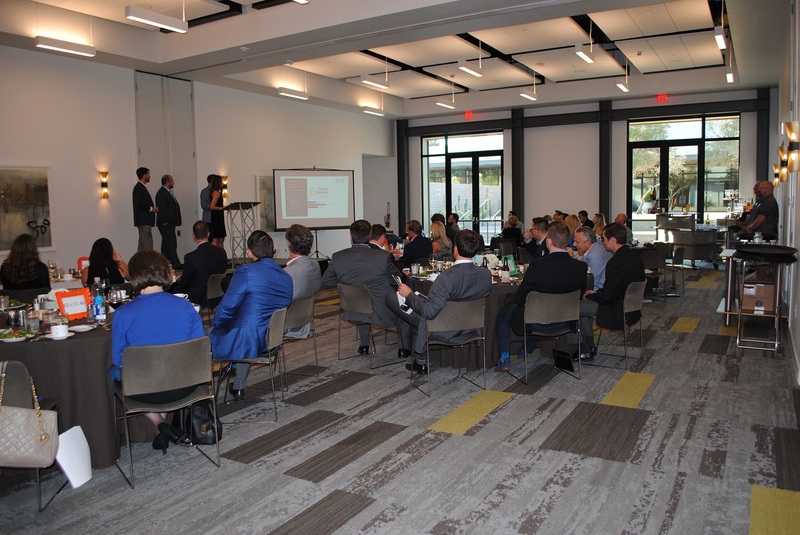 Team members were Sean Sheppard of Seefried Properties, Serena Wedlich of CBRE, and Joe Charles of JLL. The I-10 frontage road and surrounding development was a selling point for e-commerce and manufacturing users. This year’s other two judges were Jim Wentworth Jr. of Wentworth Property Company and Jenna Borcherding of JLL. Applications for the 2017-2018 NAIOP YPG Mentor Program will be available in August. All NAIOP members who are age 35 or under qualify to participate in the Developing Leaders program, whether they joined through the DL membership category or as part of a corporate membership. Copyright @ MadridMedia. All rights reserved.